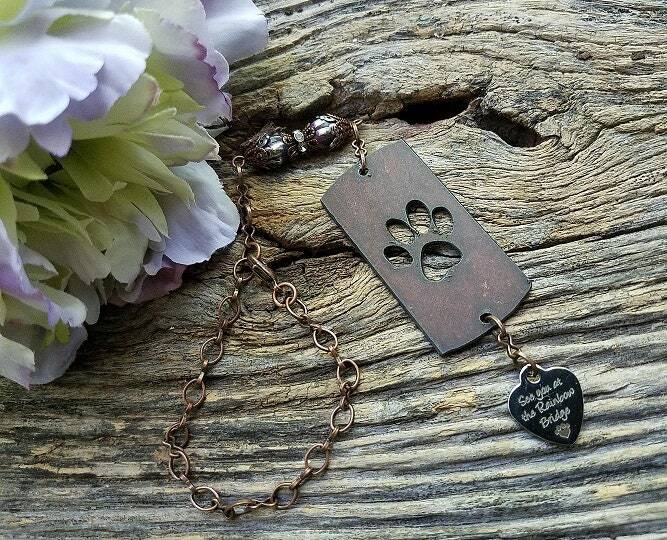 My exclusive "See you at the Rainbow Bridge Rear View Mirror Hanger" is a simple but sweet pet sympathy tribute gift for yourself or a loved one. This piece easily attaches to your vehicle's rear view mirror with a chain loop and lobster clasp. You can also attach it to a purse's strap loop. 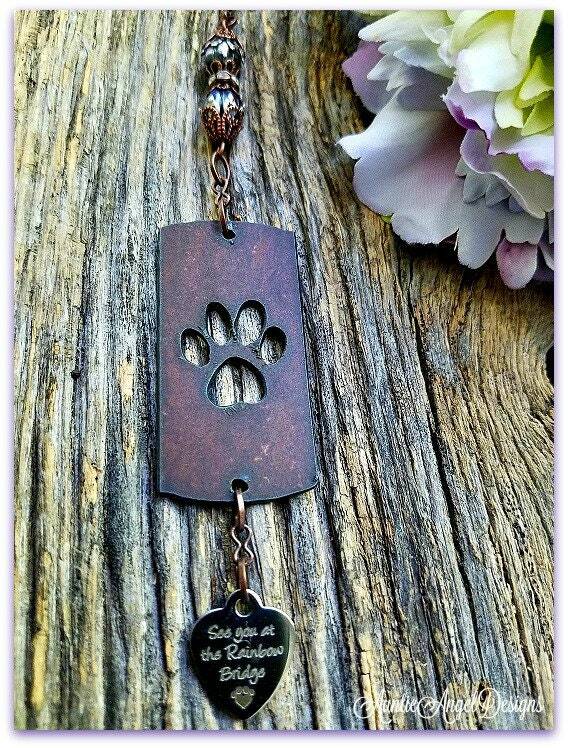 Each rustic 18-gauge metal dog tag with paw print cutout is 1" wide by 2" tall with the thickness of about a quarter. 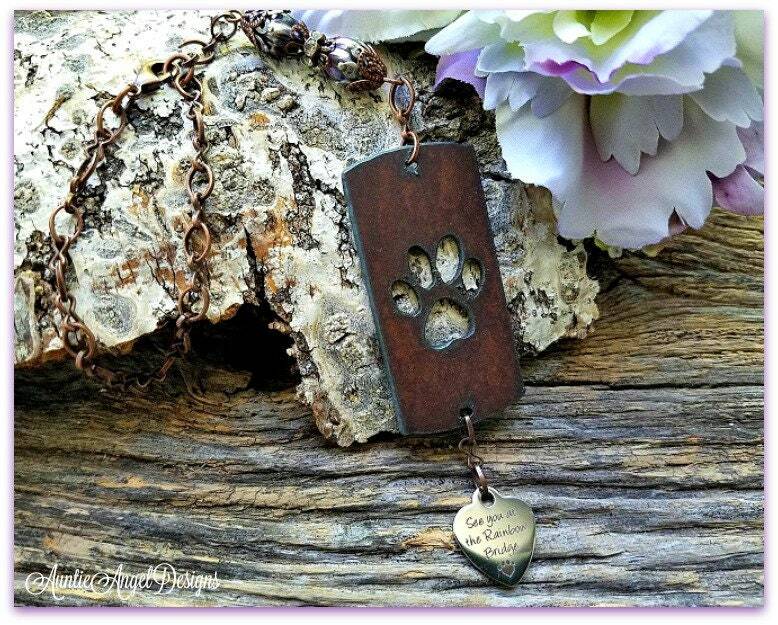 The rustic metal cutout dangles from a strand of fine antiqued copper chain with a beautiful dark purple AB finish melon beads dangle. The beads are accented with antiqued copper filigree bead caps, a copper rhinestone spacer bead, and silver-plated gothic-style bead caps. 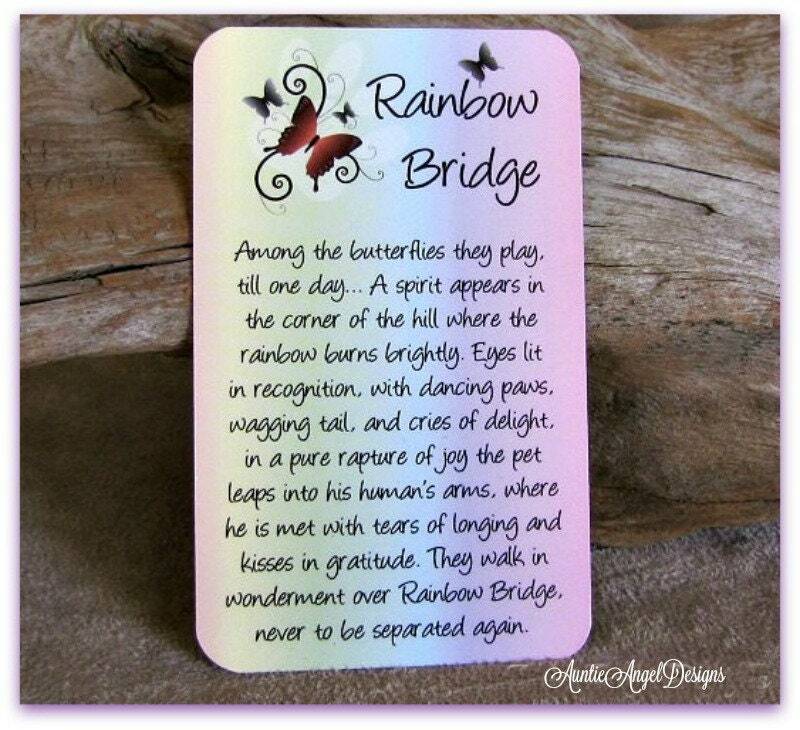 Your piece is finished with a darling stainless steel lasered heart charm which reads "See you at the Rainbow Bridge." 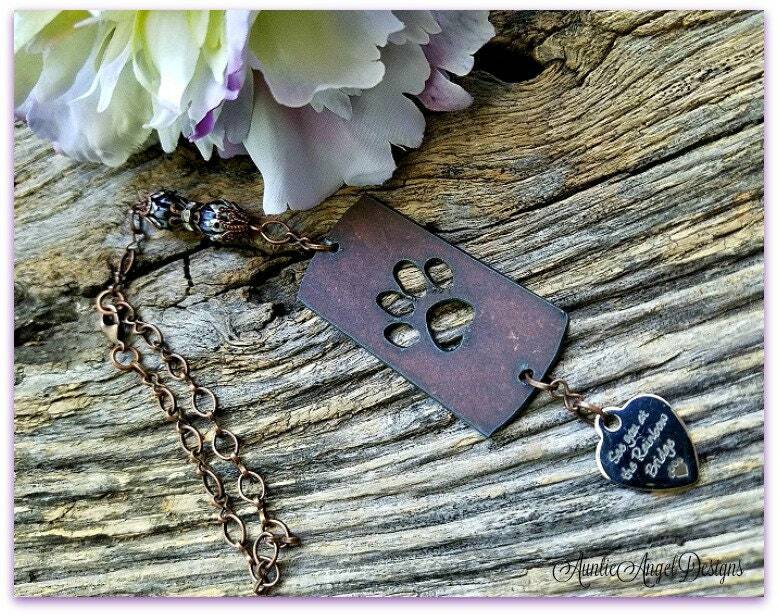 NOTE: This heart charm cannot be stamped or engraved by us on the back. This car mirror accent piece is approximately 8-3/4" long. 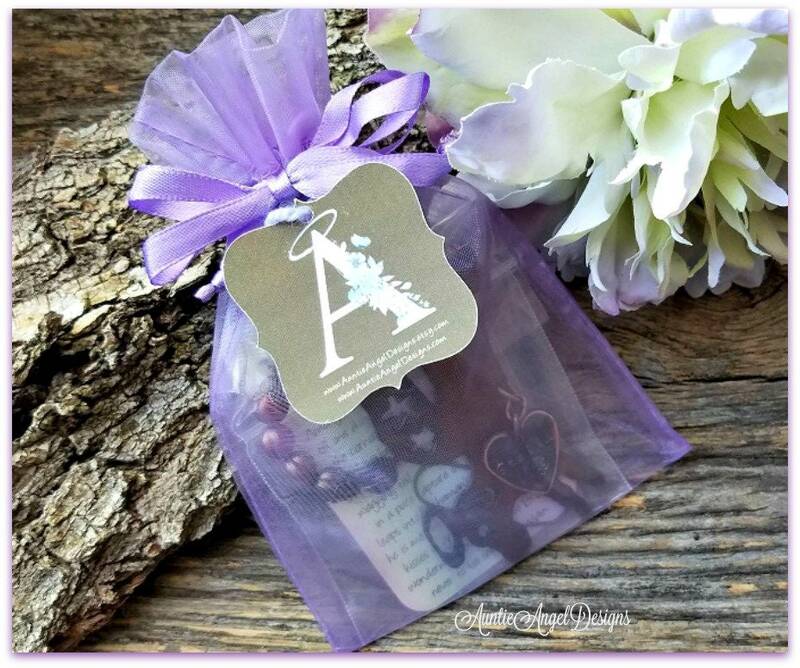 This sweet car/purse clip comes in a lavender-colored organza pouch. 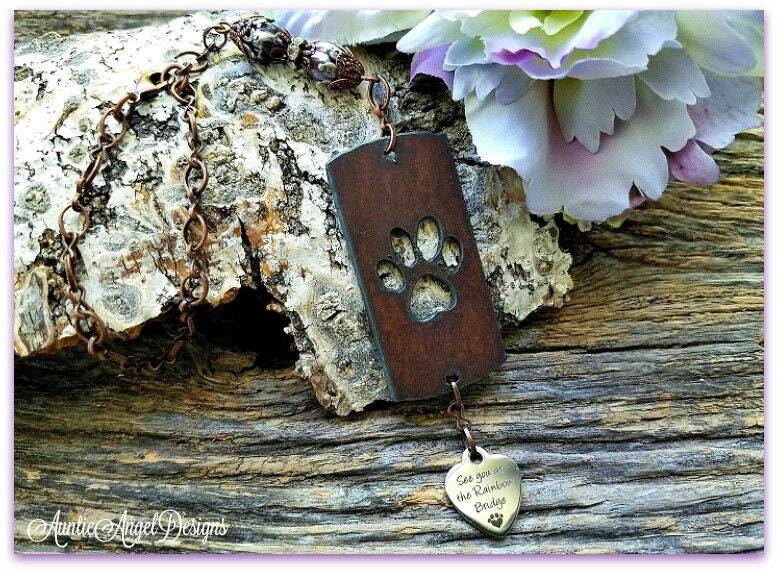 If you elect to pay for gift wrapping, this piece will be boxed and wrapped in paw print paper with ribbon.